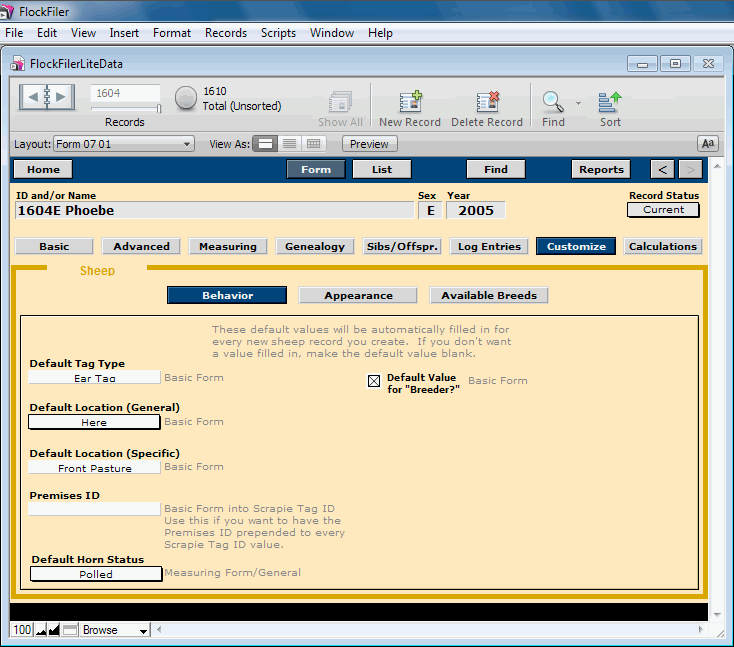 Customize Form – Behavior. Specify FlockFiler Lite's default data entry behavior here. The values you provide will be automaticaly filled in for new records.